As you can imagine, I’m sitting here stunned. As much as you are. 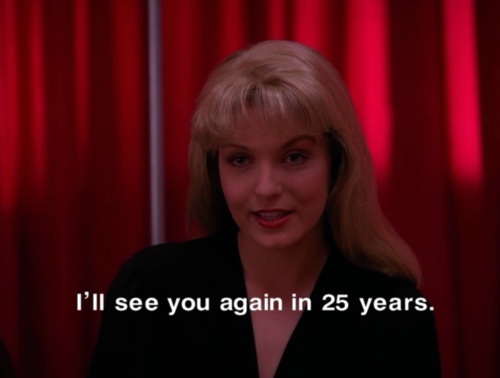 Twin Peaks returns. 2016. Showtime. 9 episodes, co-written by David Lynch and Mark Frost, all directed by David Lynch. Kyle MacLachlan likely to return as Special Agent Dale Cooper. According to an interview with Mark Frost, this has been in the works for almost three years. The exciting thing is, clearly a lot of thought has gone into this. While I feel some trepidation, I also feel incredible excitement. If you’re a SiriusXM subscriber, I’ll be on the Ward & Al show today at 3 pm on Canada Talks 167 to discuss this amazing turn of events. The groundbreaking television phenomenon, Golden Globe® and Peabody Award-winner TWIN PEAKS will return as a new limited series on SHOWTIME in 2016. 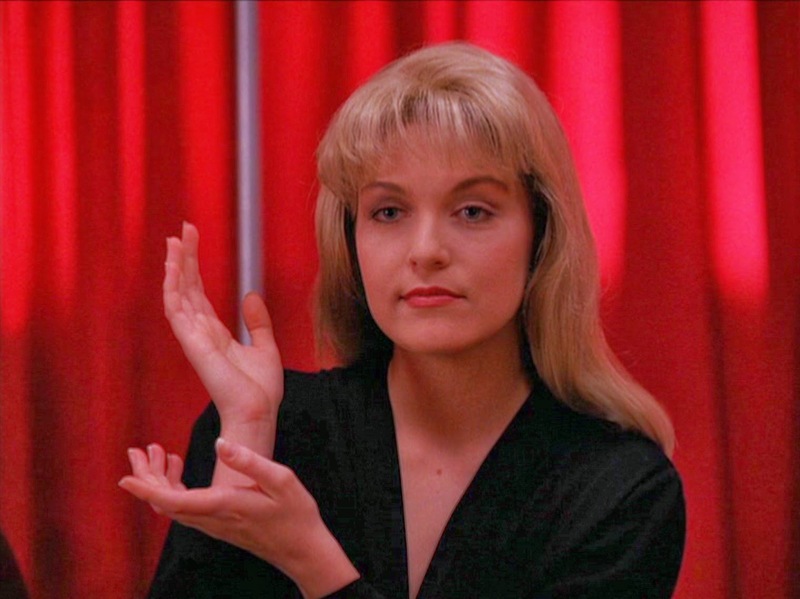 Series creators and executive producers David Lynch and Mark Frost will write and produce all nine episodes of the limited series, and Lynch will direct every episode. Set in the present day, TWIN PEAKS will continue the lore of the original series, providing long-awaited answers and a satisfying conclusion for the series’ passionate fan base.